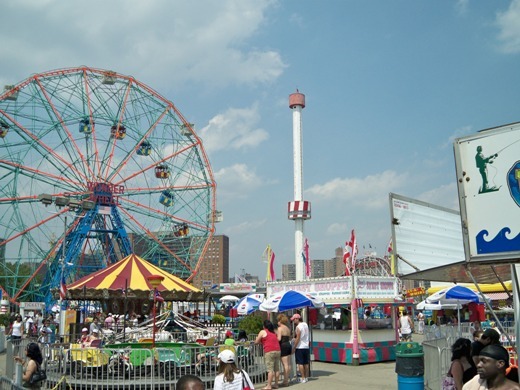 Coney Island, Brooklyn. We had to visit here because it will all be torn down and removed in the next couple of years and there is so much history here. I must admit the area is really run down. We were here after the Peurto Rico Day Parade and the beach was crowded to say the least. Of course we had to eat at the world famous Nathan’s Hot Dogs. This is where they hold the annual World Record hot dog eating contest every fourth of July. My Grandpa used to take my Dad to Nathan’s as a kid, so it was fun to be able to be there. I got a chili and cheese dog that was smothered in grease and of course waffle fries, it was good stuff!